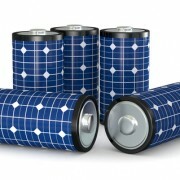 Will solar, batteries and electric cars re-shape the electricity system? With at least 38.4 gigawatts (GW) of newly-installed solar photovoltaic (PV) capacityworldwide and a global cumulative installed capacity of 138.9 GW, 2013 was another historicyear for solar PV technology. Ο κλάδος των φωτοβολταϊκών αντιπροσωπεύει το 35% επί του συνόλου των θέσεων εργασίας στις Ανανεώσιμες Πηγές Ενέργειας σε παγκόσμια κλίμακα, σύμφωνα με τον Διεθνή Οργανισμό ΑΠΕ (IRENA). 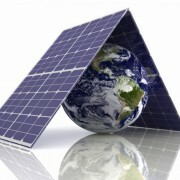 The global solar photovoltaic market enjoyed a strong revival in 2013. Preliminary estimates put it in excess of 37 GWp, compared to 30 GWp in 2012 and 2011. All new aid schemes will have to comply with several rules (evolving over time) with a view to integrating renewable electricity in the market. Prolonged or modified existing schemes will also have to comply with such rules, as well as schemes for which the validity of the Commission’s compatibility decision has expired. PVPS Report: Snapshot of Global PV 1992-2013: Preliminary Trends Information from the IEA PVPS Programme. 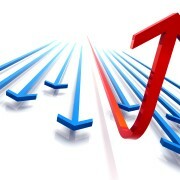 Preliminary market data reported shows a growing market in 2013, for the first time in two years. New commercial and industrial renewable power generators will have to pay a charge on the electricity they consume, according to a plan backed by the German Cabinet on 29 January. Part of the reform of the Renewable Energy Sources Act (EEG), the proposal would mean that from August such ‘self-consumers’ would have to pay 70% of the charge used to pay for renewable subsidies (the EEG surcharge), which currently amounts to EUR 0.0624/kWh. Under the proposal, the first 10MWh would be exempt for owners of solar PV projects under 10kW. However, the new self-consumption charge would make the economics of installing a larger PV system significantly less attractive. Some 83% of solar self-consumers would be subject to the new charge, according to the German Solar Energy Industry Association. Many of the details have yet to be finalised but the Cabinet is expected to sign the draft into law in April. It will then go to the Parliament for a vote in June. As part of Germany’s reform of its renewables support mechanism, the government is also considering a reduction in the feed-in tariff from the current average of EUR 0.17/kWh, to EUR 0.12/kWh. The reform aims to lower the cost of the country’s transition towards renewable energy – a transition which has contributed to an increase in residential electricity tariffs to the point that they are now the second-highest in the EU-28. While the move to decrease support for solar PV may have a long-term impact on installation levels, Germany will still retain the top spot for solar PV capacity. 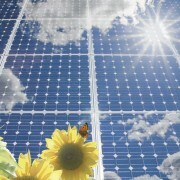 The country’s installed solar power will climb 8% to 38GW in 2014, according to Bloomberg New Energy Finance forecasts. How long it will keep first place is not certain, as it was only a distant fourth for new capacity additions in 2013, after China, Japan and the US. In any case, Germany is not alone in seeking to reduce the cost burden of supporting renewables by implementing what might be deemed a ‘renewables disincentive’: in December, the Spanish government passed a regulation to implement a new ‘back-up fee’ for existing and new self-consumption systems up to 100kW. 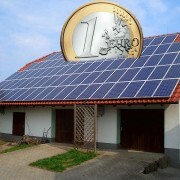 The levy will be in the range of EUR 0.07-0.09/kWh for systems under 10kW.The draft law targets self-consumers in part because they are connected to the grid and require its services. Solar PV self-consumers, in particular, can make significant demands of grid services: during the day they may need to export large amounts of excess power, while at night they still depend on external supply. Net metering could mean these self-consumers do not pay as much as their use of the grid’s economic services might warrant. In addition to the self-consumption charge, Spain plans to cap the return earned by renewable energy at 7.4%, according to draft rules seen by Bloomberg News on 3 February. The rate on investment was based on the average yield on a 10-year sovereign bond plus three percentage points. The 1,000-plus pages of regulations, which still need government approval, would implement hundreds of parameters for calculating cost bases, including technology type and connection to the transmission network. Like Germany, the Spanish government’s aim is to curb renewables subsidies. These amounted to EUR 50bn (USD 68bn) over the last decade. The state of Arizona was the first jurisdiction to implement a self-consumption charge, implementing a fixed monthly charge of some USD 0.70/kW of installed system capacity for rooftop solar systems, in order to compensate for their use of the grid infrastructure for net metering. As many as a dozen US states are considering whether to follow suit. For example, utilities in California are demanding fees to connect solar panels to the grid. These charges would add some USD 120 a year to rooftop users’ bills. These moves are the first response to rising unease about self-consumers, but are likely to gain currency in other countries with high levels of small-scale solar PV. Retrospective measures, unexpected support scheme changes and other negative measures seriously damage the investment climate for solar photovoltaic technology in European countries Brussels, 10 December 2013 – The solar photovoltaic (PV) technology has grown over the past decade at a remarkable pace, becoming a major source of energy globally. 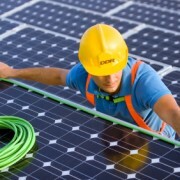 However, the European PV sector has been continuously facing retrospective measures and other unplanned changes that directly attack the stability and viability of existing and future investments in a number of countries, as shown in an overview presented by the European Photovoltaic Industry Association (EPIA) at a Press Briefing today. In recent years, different types of harmful measures have been introduced in several European countries. «Retrospective measures, moratoria, as well as unplanned reductions and cancellations of support are often intended to fix governments’ past mistakes of over-support, but they only deteriorate the situation: By generating an unstable environment for investments, such measures have provoked project cancellations, bankruptcies and job losses in the PV sector. What is more, they are putting governments’ credibility at risk, with negative implications for the whole economy», said Frauke Thies, EPIA Policy Director. The situation is particularly troubling in some countries. In the Czech Republic for instance, numerous retrospective measures have been implemented in the past three years, leading companies to bankruptcy and making PV system owners unable to repay their bank loans. In Spain, the severe PV market contraction has shrunk the sector resulting in many job losses: Representing 60.000 direct and indirect jobs in 2008, the PV sector is now down to 5.000-7.000 jobs. Greece is another example of a country with great PV potential, but a suffering PV market due to inconsistent policymaking that undermines the trust and predictability needed for a favourable investment climate. Even if in certain countries national courts have already recognised some measures as illegal and unlawful, and have consequently revoked them, various retrospective measures are still being put in place or under discussion, adding further uncertainty on the way to PV development in Europe. «In order to avoid any risk of over-compensation and to ensure a sustainable development of renewables in Europe, support mechanisms should undergo a «sustainability check»: They need to be technology specific, predictable and dynamic at the same time. This means that support levels have to be adapted on a regular basis, based on objective and transparent criteria», added Ms. Thies. «Such guiding principles should be kept in mind when designing support mechanisms for renewables, especially in view of the State Aid Guidelines the European Commission should release soon», she concluded. 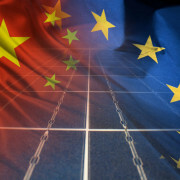 The Council of the European Union has adopted the Regulations imposing definitive anti-dumping and anti-subsidy measures on imports of solar panels and cells from China yesterday. The European Commission itself has announced that it has adopted a Decision confirming the undertakings even though these undertakings should be adjusted now so that wafers are not covered by them and most likely to accept undertakings from around 20 additional Chinese exporters. The two Regulations and the Decision must now be published in the EU Official Journal by 5 December 2013 for entry into force by the deadline of 6 December 2013. These duties and undertakings will be implemented for two years, starting on the day following publication. Chinese exporters that participated in the undertaking are exempted from paying the anti-dumping and anti-subsidy duties. EU producers or exporters and importers of Chinese panels and cells can request a review of the duties or undertakings but only after one year has lapsed since their entry into force. The European Commission at its own initiative or at the request of an EU Member State can launch such review at an earlier stage. 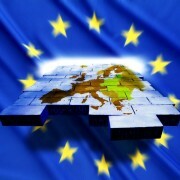 Please find here a link to the European Commission’s press release.